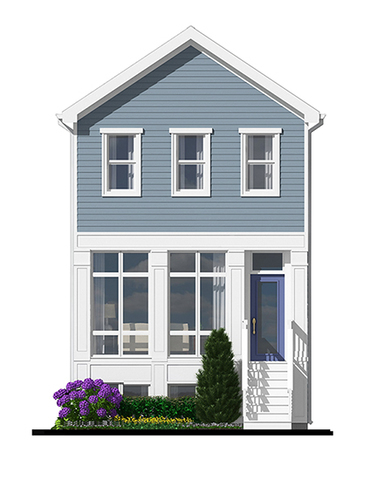 Build a semi-custom single family on a charming quiet street. Home will feature modern open floor-plan on main level, eat-in kitchen nook, pantry closet, SS Frigidaire Gallery appliances, 12 ft Island, 10 ft ceilings and Oak hardwood floors throughout main. Master suite features walk-in closets, double sink, soaking tub and shower. Partially finished basement to include recreation room, 5th bedroom and full bath, with unfinished storage room. Private fenced in backyard with detached 2 car garage. Customer to pick from a variety of finishes!